All it takes is 30 seconds or less and you can sign up through your Facebook page! Now that you’ve joined the fight against childhood cancer, share the news on social media and get others involved! Quick and easy how to tips! 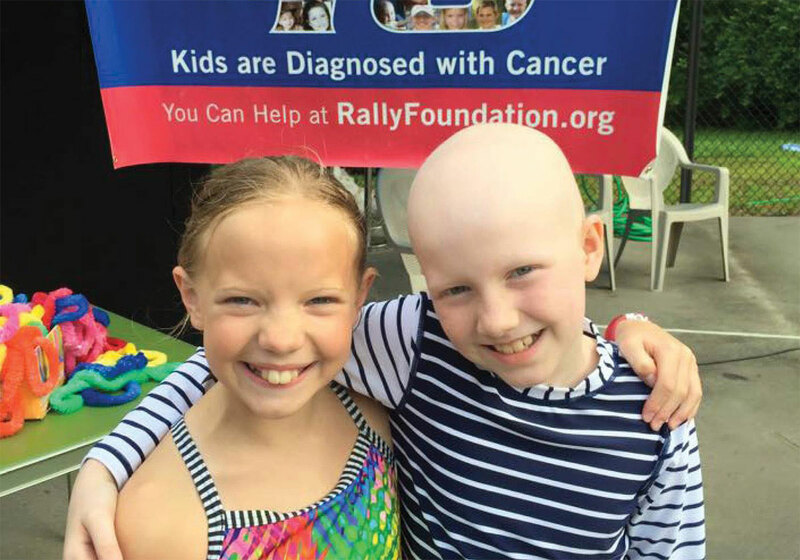 For every dollar that you raise, 93 cents goes directly towards childhood cancer research. We’re here to help, so contact us if you need any support with your fundraiser! Maddie hosted a swim-a-thon and asked for donations for each lap swam. This fundraiser raised $1,300! 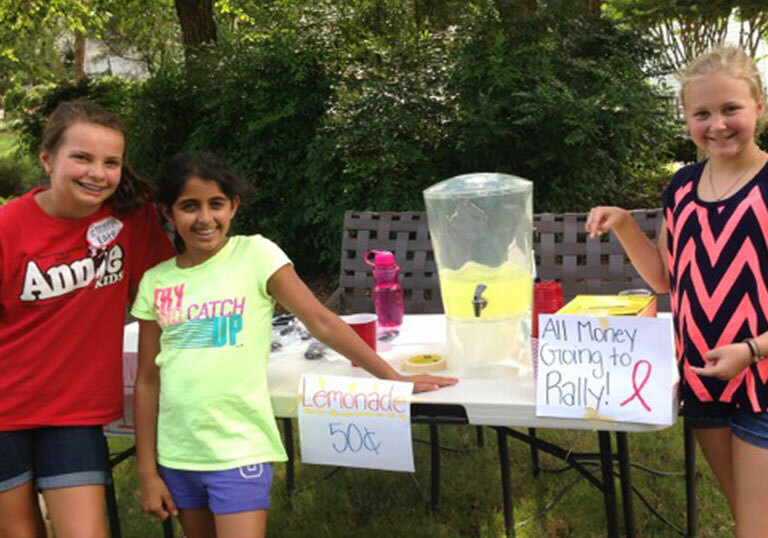 Courtney and her friends hosted a bake sale and lemonade stand in their neighborhood. They raised $100! 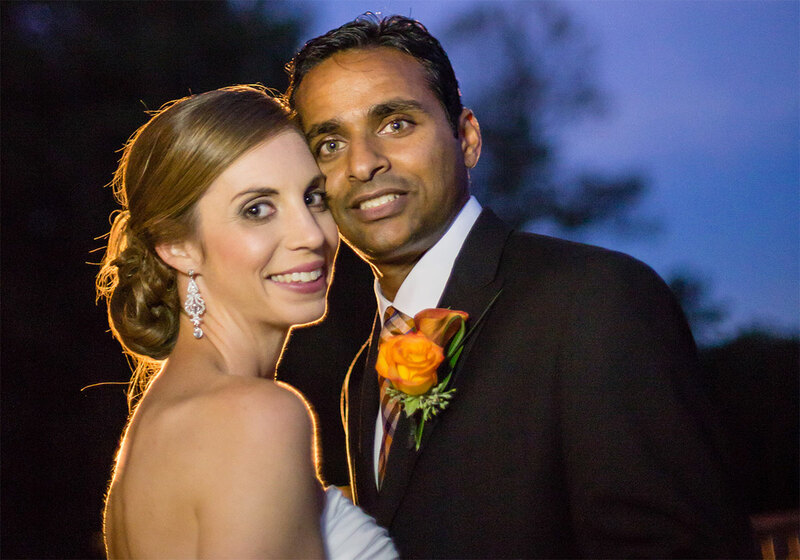 In place of a wedding registry, Claire and George asked their guests to make a donation to Rally. They raised $6,550! Susan asked for donations to be made in honor of her birthday. 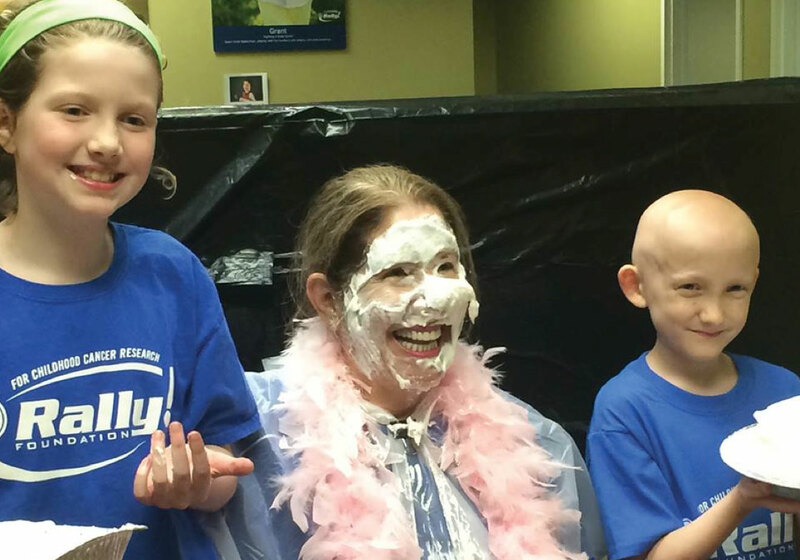 For every $100 donation, she whipped childhood cancer by taking a pie to the face! She raised over $5,000. 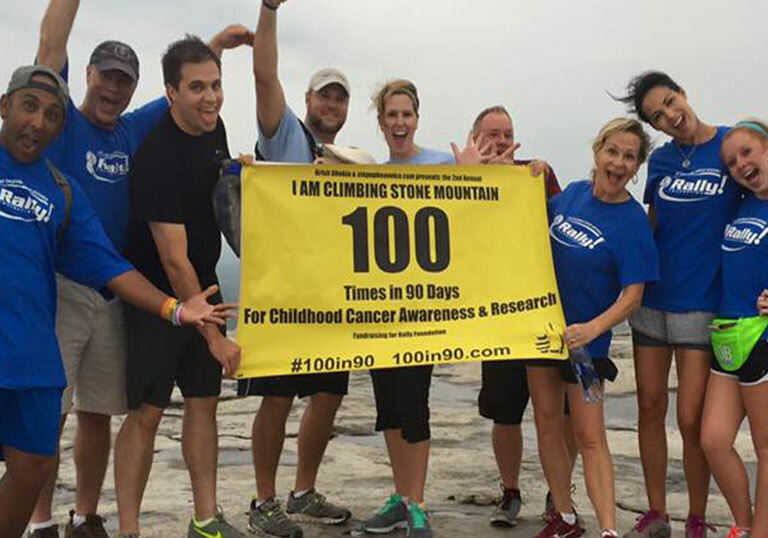 Krish climbed Stone Mountain 100 times in just 90 days! He raised $15,000!